Have you ever wondered how to use a BLE module using a PIC microcontroller? 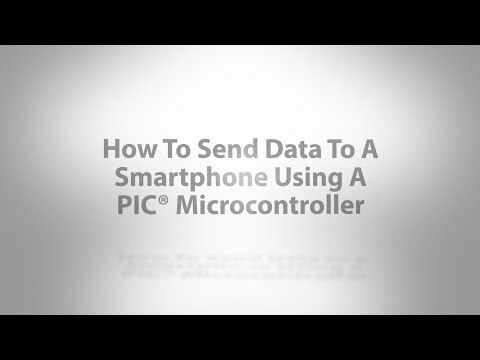 If so this is a quick tutorial on how you can transmit and receive data to and from your smartphone. By the end of this video you will have an understanding of how to add wireless connectivity to your project with very few steps. This linked MPLAB® Xpress example also demonstrates how to configure a wireless module using the RX and TX pins on the MPLAB Xpress board. The Bluetooth® Smart Data app is what is used in the video. Bluetooth Smart Discover is an equivalent app used for Android™. This entry was posted on Wednesday, November 7th, 2018 at 1:37 pm and is filed under Advertiser, Videos / Podcasts.